Old Box Car with "WOW"
Seville, OH - Northern Ohio Railway Museum - Rich Tones and Texture on this Old Box Car. If you look closely it is has "WOW" written on it's side... Link to Photo Without Frame Thank You for Making this Daily Photo Tied for the # 2 Pick on 02-16-2018. Love the title. It takes me back to the DailyPhotos community alphabet challenge of several years ago. 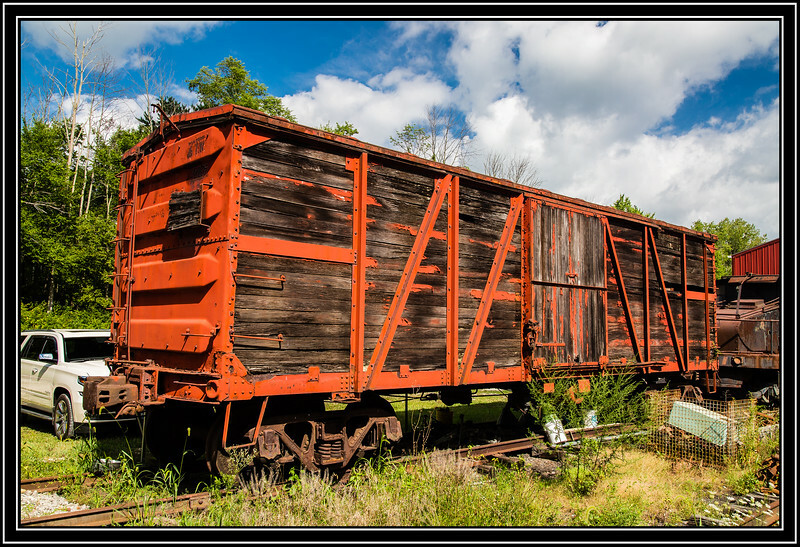 Wonder if the old boxcar was once all that bright orange--couldn't miss it! A fine old relic.... great find! Lovely capture of this weathered boxcar! Great reminder of bygone days, great find!